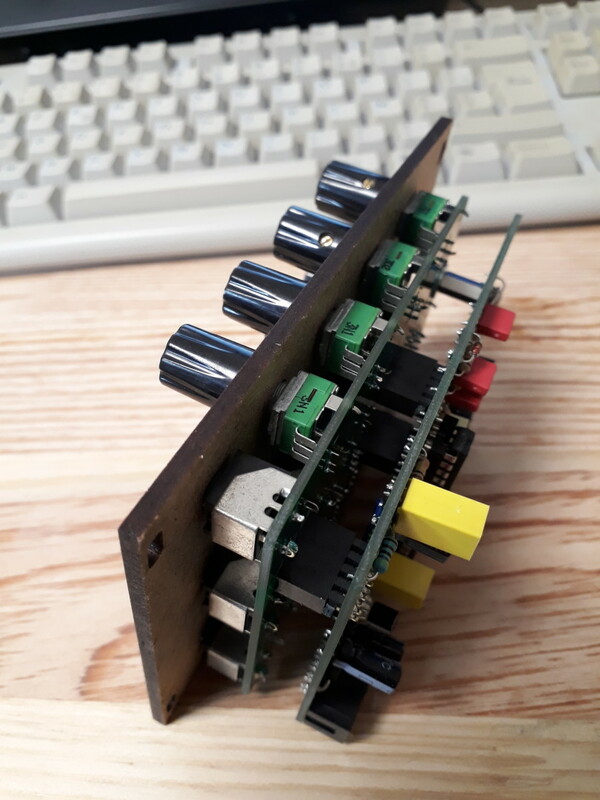 One of my first projects (and one of my first posts here) was about a clone of the classic funky/cheesy drum synth, the Coron DS8. You know the piouuu piouuu drum sounds from disco era? Well it’s probably the DS8. 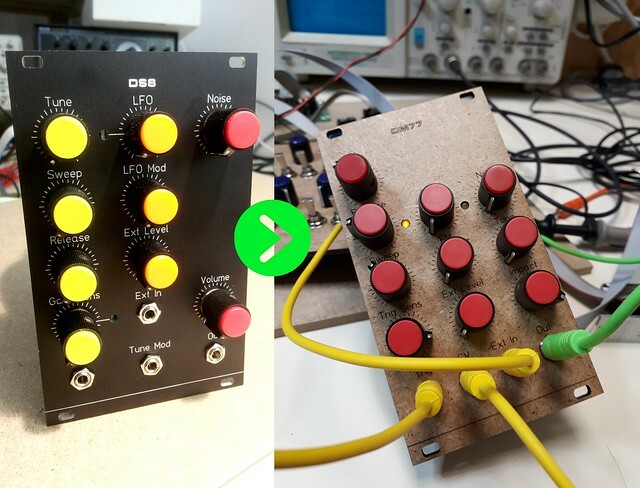 While I’m still designing my DS8 drum clone, I’m preparing some new modules. 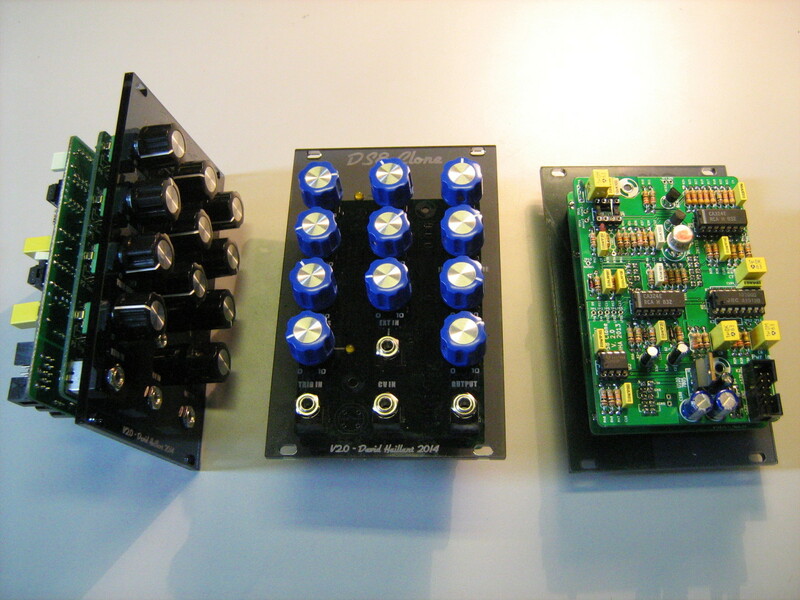 In fact, they are designed as build bricks for the drum module. 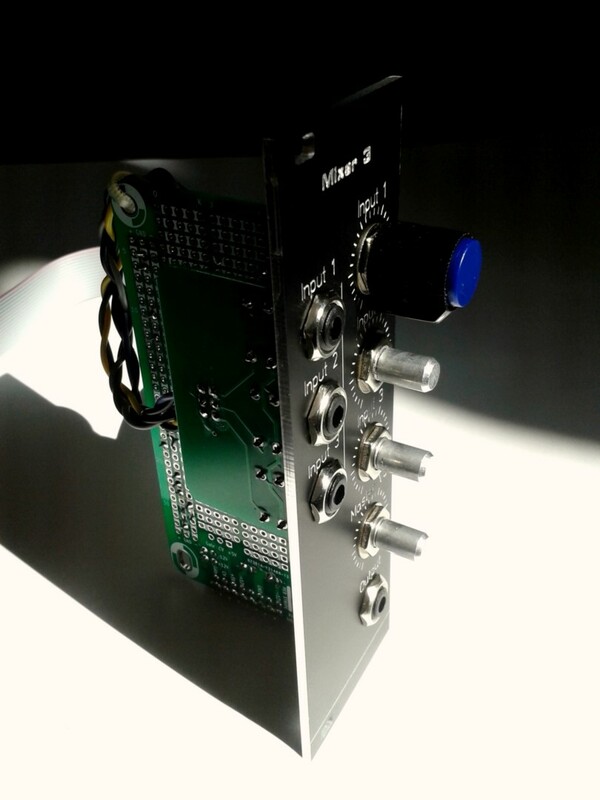 I made a simple square and triangle LFO, a simple AR Envelope Generator and a 3 way mono mixer. 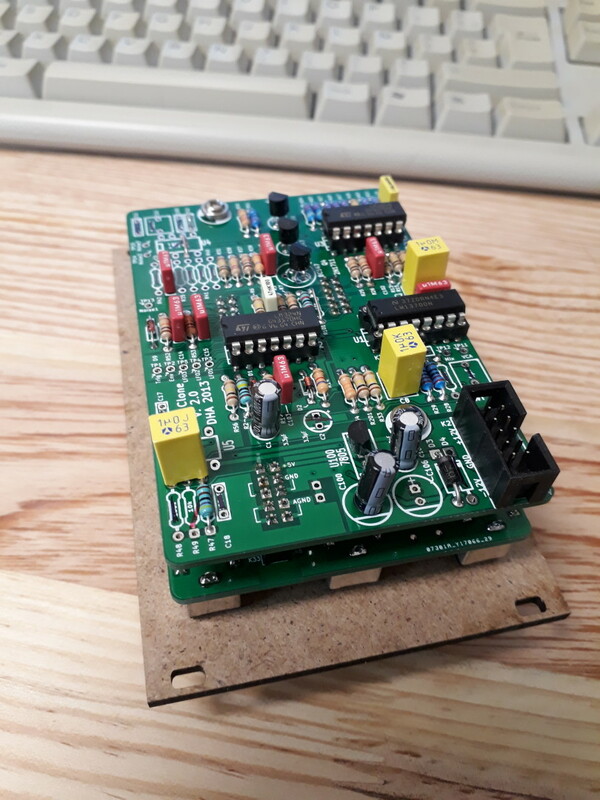 In the meanwhile, I tried for the very first time the Front Panel Express service (Schaeffer AG actually here in Europe), and I just received my first panels yesterday. 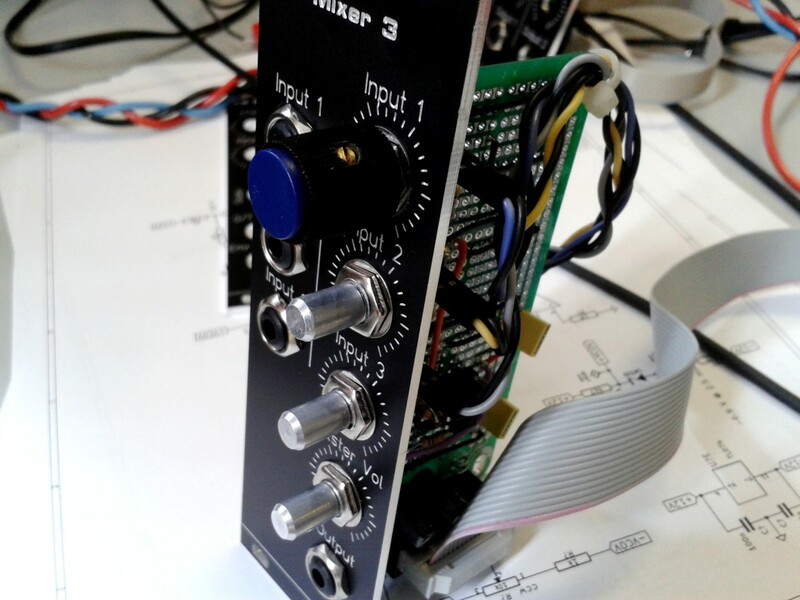 New mixer module. Still awaiting some knobs to be complete. 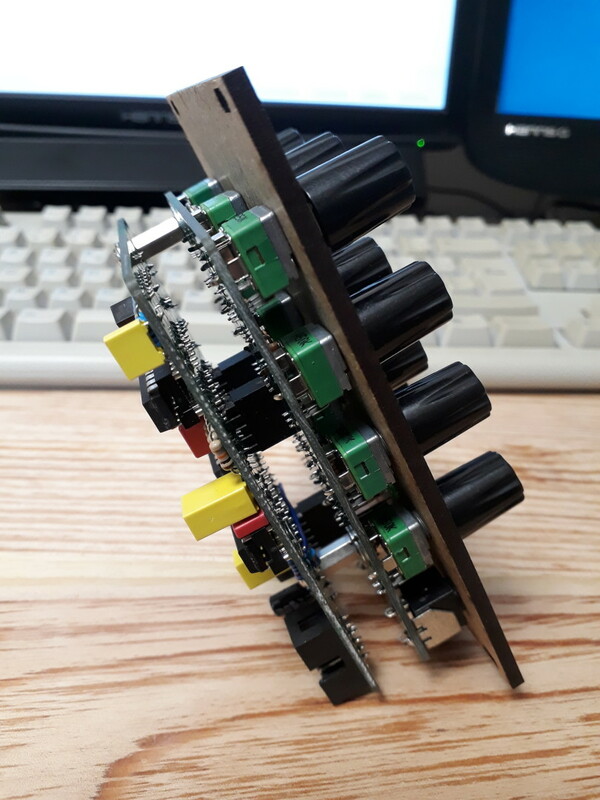 I used one my Eurorack stripboard. Very nice cuts, higly readable texts, I really like it! Thanks Schaeffer! It’s absolutely brilliant! If it wasn’t the price, I would definitely recommend their service! 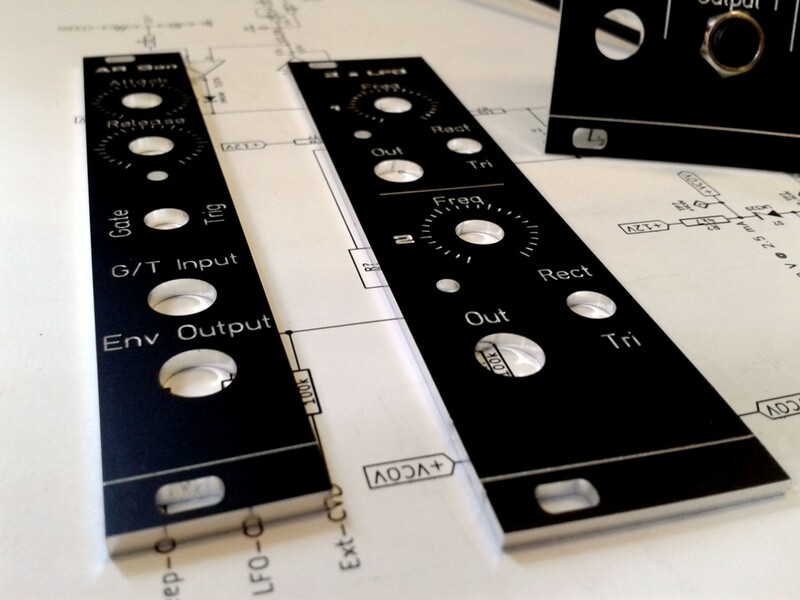 They are 2mm thick black anodised aluminium panels. Texts and drawings are raw cuts with no white infills. Still, the result is very good: it’s perfectly readable. Edges can be a bit rough though. Anodised aluminium doesn’t catch finger prints. (PMA glass does it a lot!) At 2mm thick, the panels are really stiff. Surface is pretty hard to scratch. All in all, I’m very pleased. 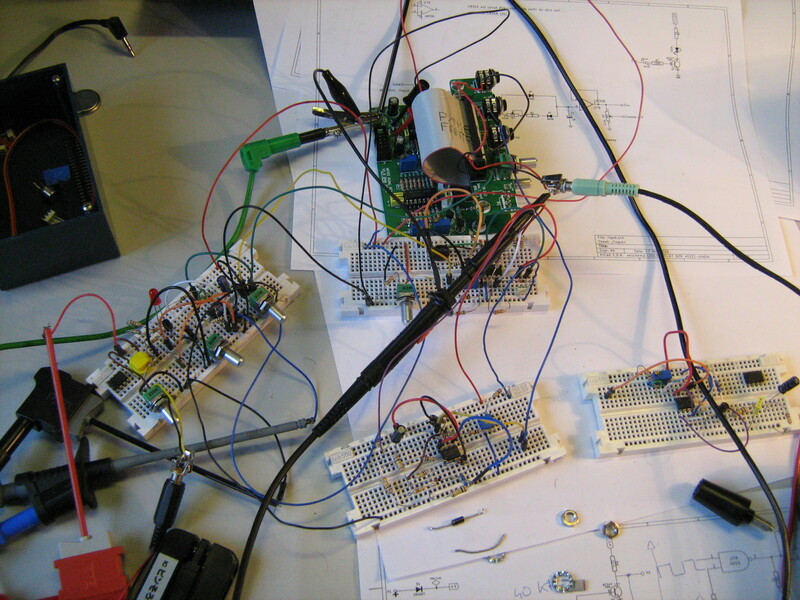 If everything goes nicely, I will build several of these and sell ’em as separate simple modules. Keep in touch! 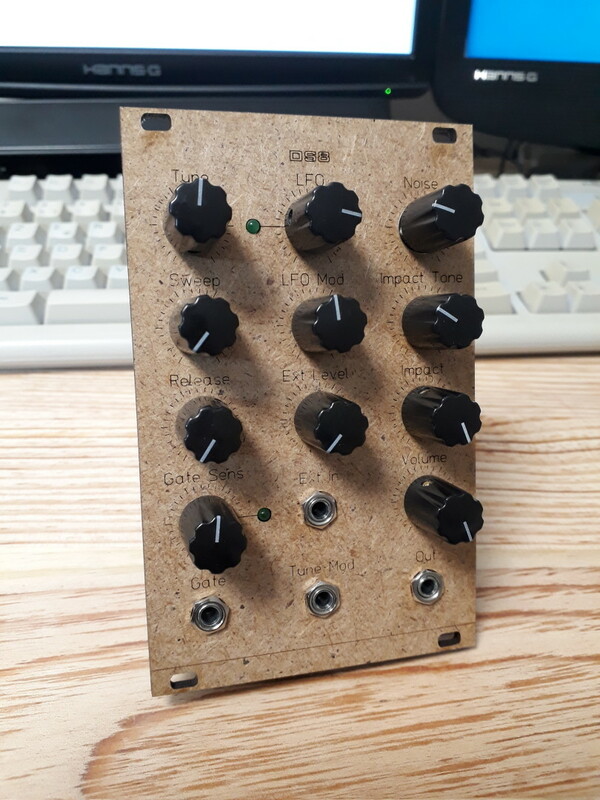 Next to come are an impact gen (actually a clone of a 606 bass drum), and probably the noise generator. I’m working on a DS8 clone.